We believe that children are individual, capable, confident, involved and independent learners. Children’s interactions with the world around them, people, places, objects and environments are how they develop knowledge and understanding of their world. This also develops the children’s understanding of how they as individuals are connected with and contribute to the greater community. While in our care and education program the children are provided with learning spaces and opportunities to explore, discover and interact across all core learning areas, encouraging children to reach their individual potential and capacities. Our teams of educators are dedicated to providing a quality care and education service to the children and families of the local community. Our educators have varying levels of education, training and interests regarding early childhood learning and development, ranging from Early Learning Teachers to Certificate 3. This creates a diverse team of individuals who work directly with the children on a daily basis, sharing their passions, interests and love with the children. Our educators create and provide a learning space that facilitates and encourages both planned and spontaneous play opportunities for the children. Children are supported to take part either independently or in groups. We have two learning spaces within our care and education program, the indoor learning and outdoor learning spaces. Our learning spaces are large, open, inviting, flexible and aesthetically pleasing. The spaces allow and create opportunities for collaboration between children, educators and the environment. The intention of our learning spaces is to encourage dispositions, such as; exploration, independence, curiosity, cooperation, problem solving, creativity, excitement, persistence, imagination, researching and investigating among the children. The children are encouraged to develop and strengthen these dispositions through their time spent at pre-school interacting in the learning environments and with their educators and peers. 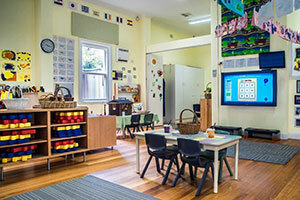 Our learning environments are separated into core learning areas, including; physical skills, dramatic play, art and craft, literacy, mathematics, natural, science and technology. We pride ourselves on our strong professional relationships with our families. These genuine and trusted professional relationships are developed and maintained through a common interest, being the children. Families are provided with continuous opportunities throughout the year to share ideas and suggestions regarding our care and education service as well as sharing personal information regarding their family life and interests, which is used for programming purposes. We strive on developing and maintaining strong professional relationships with the families in our service. As we recognise that families are children’s first and most influential teachers. We believe that partnerships with families are vital in ensuring children are provided with an environment that supports their home life, allowing them as individuals to reach their individual potential.